The hefty size and weight were what first struck me about the James Bond Encyclopedia when it arrived, but when I opened the book and started to browse through the the wealth of information and stunningly reproduced photographs it was obvious that it is destined for the coffee table rather than gathering dust in my Bond library. 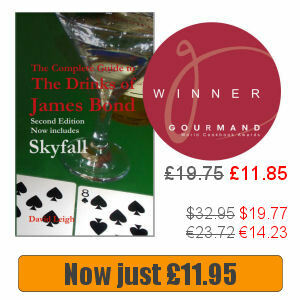 Although it may receive little use as a reference book, the dedicated Bond fan will derive pleasure simply by flipping through the glossy pages until something of interest is found. And given that there are more than 300 pages packed with information and photos about every conceivable aspect of the James Bond universe from Dr No to Casino Royale, it is hard to imagine not finding some nugget. As all kinds of entry are included, the amount of text and number of photos varies greatly from entry to entry; a single paragraph for Dr Kaufman and Mr Kil (Tomorrow Never Dies and Die Another Day respectively), but several pages devoted to nothing but Aston Martins. 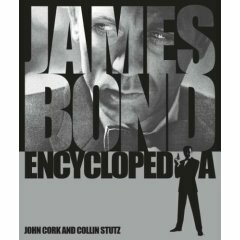 With the forward written by Michael G Wilson and Barbara Broccoli, the James Bond Encyclopedia is every ounce “official”, which must have come with the key to Eon’s photographic archive; and as it contains straight facts there is no hint of the partiality that could otherwise be levelled at a critical view of the Bond films. All in all an extremely comprehensive work; if you’re looking for well illustrated information about the villains, girls, cars, allies and gadgets that appear in the Bond series and require straight facts with no analysis then you should buy this book. 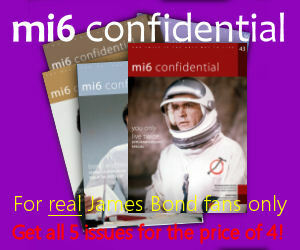 The James Bond Encyclopedia is published by Dorling Kindersley and available from Amazon.co.uk and Amazon.com. Yes, I saw this at the book shop this evening and loved every bit of it. I appreciated seeing Daniel Craig’s presence take precedence over previous Bonds, as he’s not only the reigning one, but the avant garde representative of the 21st Century. Buy the book! It’s as good as any, and the price is far from rapacious. Have purchased a copy of the James Bond Encyclopedia, but was disappointed to learn one movie was missing from the book. It is the last movie made by Sean Connery, ‘Never Say Never Again’ in 1983. Great book,every thing you want to know is in it. Never Say Never Again is not in it because it is not a EON Production.